Can you tell from this photo that we had fun together? In memory of Cikgu Henry Nyambar. He has always been a fine example to me of humility & kindness. Do you teach the English language to students from low socio-economic backgrounds & whose guardians are illiterate? What if English is not used in this rural community & English is a foreign language your students are forced to learn? What if the English language has consistently performed very badly in PMR & SPM? What if more than 30% of your students can't even achieve a mere pass? What if your students are not motivated to learn? What if it is easier to make a hole in a concrete wall with your face than to get some of them to complete their assigned work? What if some of them have already given up from years of failing & verbal abuse? Such is the classroom situation here in Kapit. A small town which has no road access. You have to ride on an express boat for 3 hours to get here. So, you've ventured far away from your home to be an English teacher here. You receive very little support from your superiors &, at the same time, you need to endure the wrath of the seniors. What do you do? Do you whine & wail? Do you put your hands up & blame the students/their parents/other teachers/the government/God for the situation? Do you teach the way you were once taught? Or, do you attempt multiple solutions & see which ones stick? 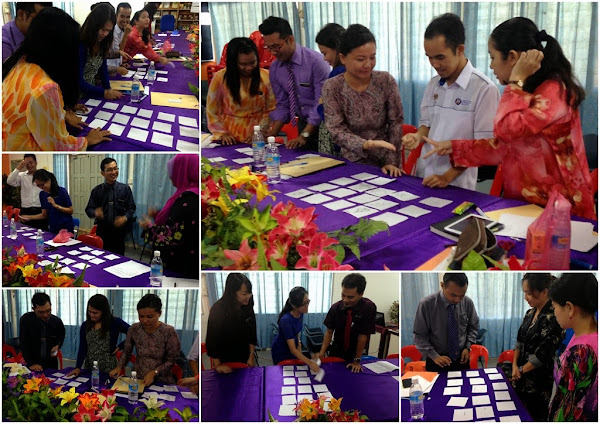 This week, I had the privilege of sharing one such solution with the English language teachers in the Kapit Division of Sarawak. I can yap yap yap until the durian season comes but it will not empower nor equip educators to take action. Workshops need to be more participant-centred just as classrooms need to be more student-centred. I'm glad the participants met me half way & we had a lot of fun together. 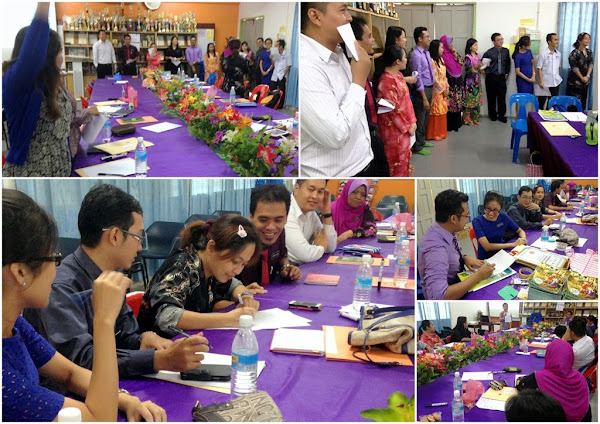 After attending 2 workshops on Remedial Instruction (RI) in June & September as well as conducting a workshop for the Song District, I was approached to conduct a similar workshop for the Kapit Division after the passing of Cikgu Henry who also attended the 2 initial RI workshops. My schedule was already pretty packed & I have been away from my classrooms for too often. However, I identified & empathised with the struggles of the English language teachers in Kapit as we serve in similar situations. What I learned from the RI workshops really helped me & equipped me with tools which helped me develop my low proficiency students in a way that was both enriching & motivating. Therefore, I decided to make time to share everything I knew about RI with them. It's not easy to be a teacher in Kapit. We rarely get called up to attend truly useful workshops. 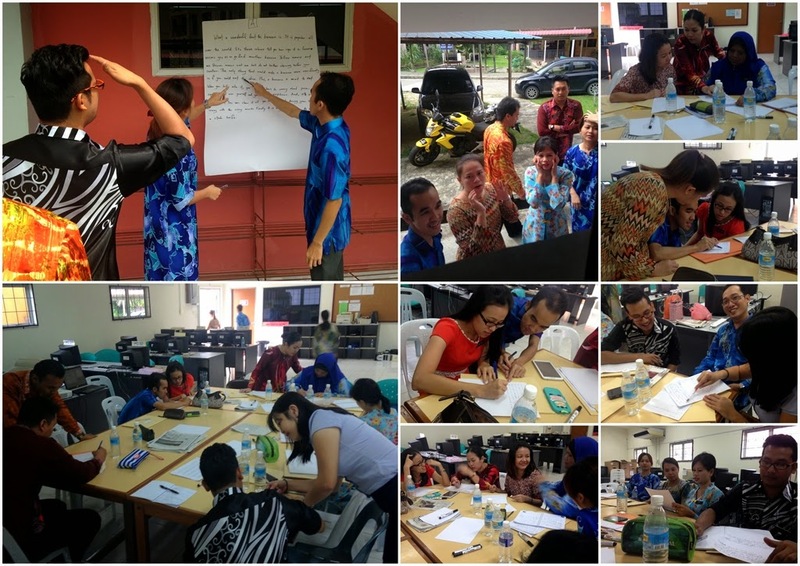 Those opportunities are usually centred around an elite few teachers in the cities of Kuching or Miri. When we do receive invitations to workshops, they are usually dry & more of a briefing on how to add new sections to our paper museums. We rarely receive trainings which are useful for our classroom practice. Therefore, I could understand when the 15 participants from the 4 schools in Kapit (SMK Kapit, SMK Kapit 2, SMK Selirik & SMK Balleh) showed up reluctantly & apprehensively. They had reservations & were wondering why they needed to attend a workshop for 2 days by some unknown teacher with only 6 years of teaching experience. What has this dude who is from an even more rural place have to share which would be useful to them? However, once they saw the value in what I was sharing, they warmed up really quickly. They revealed their enthusiastic, playful & creative selves. Many of them also expressed a strong desire to share what they have learned with their colleagues back at school. Isn't this situation very similar to our classrooms? Perhaps the apprehension of our students is due to the lack of value we bring to them? Please, take a moment to think about it. I have not held anything back during this workshop. I shared everything I knew about RI. I am also giving away the complete PowerPoint slides I developed by myself over many days & nights. You can download the PPT slides below. Some teachers prefer to keep all that they know to themselves. They are experts & it gives them a lot of pride to know more than everybody. I don't think that this right. I have always believed that together we have more. Pooling resources & recognising talents is always better than being a know-all & do-all expert. I don't want to be an expert. I'd rather make others experts & be replaceable. The needs of the students & teaching community in Kapit are too great for us, teachers, to act like we know it all & be selfish with what we do know. We need to be the change we want to see & before that we need to see what we need to change. Sometimes, we do need to change our mindsets & unlearn what bad seniors have taught us. I want to be part of a virtuous cycle which transforms a nation. And I want the teachers who took part in my workshop to be a large part of that. I want them to be the stars of my movement to democratise exclusive knowledge. Knowledge which can make a difference in low proficiency classrooms all over the nation. I have high expectations of these teachers; particularly because of the enthusiasm they have shown me during the workshop. I expect the exam results to improve this year. I also expect a slow but steady growth of student interest & proficiency in the English language. 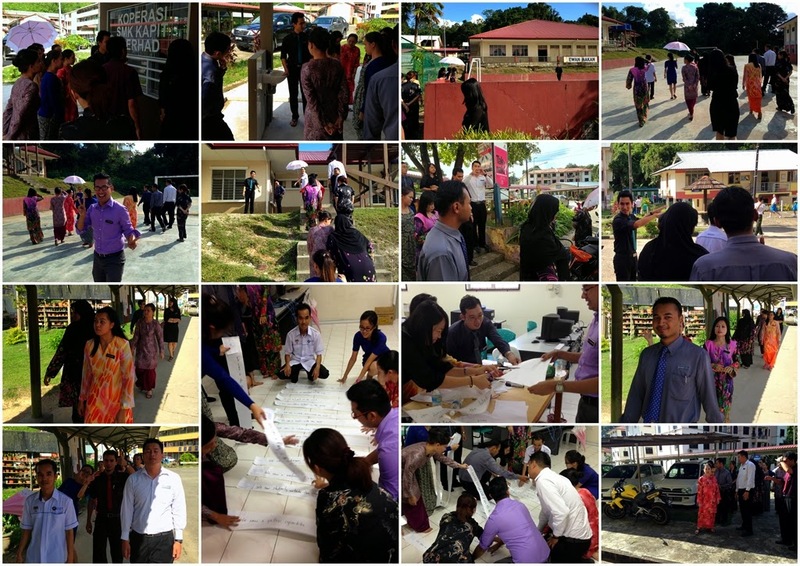 Great things will happen in Kapit & it will come from these teachers. I believe in them & they will always have a special place in my heart. Running Dictation; learned from my alma mater, VUW. As promised, here are the PowerPoint slides I used for the workshop, feel free to download it & use it. Don't be a Scrooge with knowledge. Share as much as you can with as many as you can. Also, view all the pictures here on Facebook!